Are Traveler's Checks Still a Thing? According to a 2015 Experian report, nearly 20% of travelers had sensitive information lost or stolen during their trips. One way people are combatting this is by using traveler's checks in place of cash or a credit or debit card. Traveler's checks are used as a currency replacement for those who don't want to carry cash or use an alternative form of payment. To get one, you'll pay the amount of the check and an issuer service fee to the bank. Once you're ready to access the funds, you sign the check and hand it over for cash at a local bank or retailer. American Express began circulating traveler's checks in 1891 and is still the largest issuer to date. Anonymity: Each traveler's check has a serial number and a person's signature for identification purposes, but, other than that, information about the owner remains unknown. Using credit while traveling may put you at risk for fraudulent charges and identity theft, two consequences that you won't need to worry about with traveler's checks. 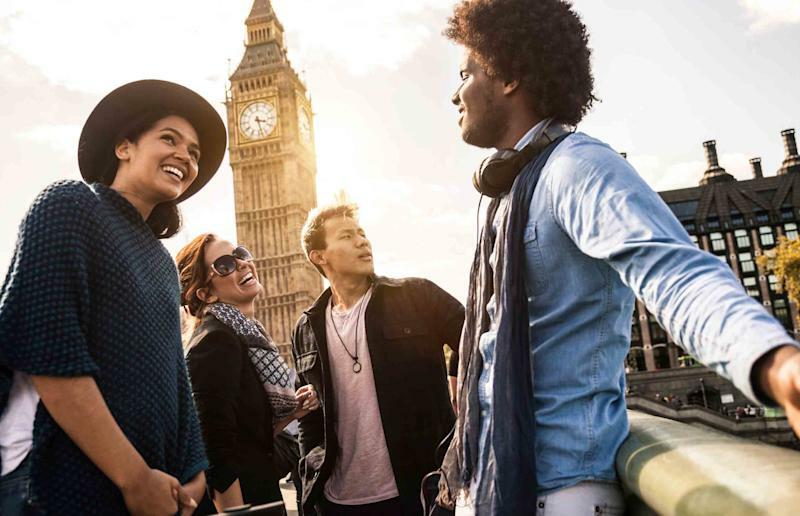 Exchange Rates: International travelers may purchase traveler's checks in their destination's currency, reducing the confusion of exchange rates and sometimes fees in the process. This is especially helpful in remote countries where exchange rates are high and bank access is limited. Avoid Transaction Fees: Many credit card providers charge transaction fees for purchases made outside the U.S. Traveler's checks remove this possibility before your trip begins. Child Safety: Allowing your child to travel alone is a big step for any parent, and finding the best way to keep them safe is imperative. Traveler's checks are a smart solution for kids who are too young to carry cash or credit responsibly. Easier Refunds: Traveler's checks are issued to and signed by you directly, and they generally require proof of identification (to be compared to a second signature you make when you go to redeem one) before a bank or retailer will accept them as currency. Lost or stolen traveler's checks are useless in the hands of a thief, and the issuer will usually provide a full refund. They Can Serve as a Budgeting Tool: Vacation travel can lead to impulsive spending, but traveler's checks can help provide a firm stopping point. Unlike credit cards, traveler's checks represent a finite sum or money, allowing you to stay on budget (whether you want to or not). Acceptance: Traveler's checks are declining in use, leading banks and retailers to follow suit. Research your trip destination carefully before choosing this payment option. It may cause more problems than you realize. Convenience: Traveler's checks may offer safety, but they don't usually provide convenience. Paying additional fees to spend your own money isn't ideal, and finding a purchase or exchange location can be a hassle. Whether you opt to use traveler's checks or another form of payment while you're on vacation, it's a good idea to set a budget for yourself ahead of time and make sure you stick to it. No vacation is worth going into credit card debt. You can see how your debt levels are affecting your credit by viewing two of your credit scores for free, updated each month, on Credit.com.